Scanning is now available in the library for Great Ormond Street staff as well as UCL users. The scanner is attached to one of the GOSH PCs. 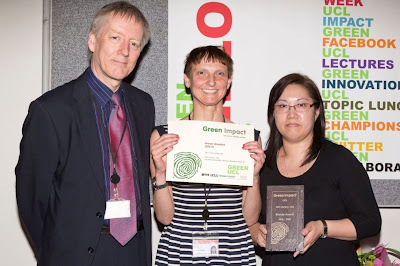 The Library has a trial to World Bank eLibrary until 31st December 2013. The eLibrary offers full-text access to the complete back-list of all books, working papers, and journal articles published by the World Bank since the 1990s. Please try out this resource and feedback any comments to the Library. Desktop@UCL is the new Desktop Service that is available on public computers at UCL. Information about remote access to Desktop@UCL can be found at http://www.ucl.ac.uk/isd/common/ucldesktop/anywhere-user-guide. The Desktop can be accessed remotely by staff and students with a UCL computer account. Access is either by logging in through the Web, or by installing software on your own computer. Other applications can be accessed in the same way. If you wish to use Microsoft Word with EndNote, you will need to use it within Desktop@UCL. If you wish to import references from online resources into EndNote, you will need to use a browser within Desktop@UCL. Work saved to the “N” drive, can be accessed, both onsite at UCL and offsite. We are posting this information which may be of particular interest to colleagues in GOSH who normally access their NHS email account. To ensure you don't miss important emails from UCL (eg reminders to renew your UCL computer account), you can redirect your UCL emails to your NHS account (or any other email account) by following these steps. 1. Login to your live@UCL account in Outlook Web. 6. Select the email address you want your email to be sent to by double-clicking it in the address book view. If the email address you want to redirect to isn't listed in the address book, you can enter the email address in the To line at the top of the window. 7. Click OK to save your selections and return to the New rule window. Britannica Image Quest is an online image library which contains images from over 40 of the world’s best providers including National Geographic, Getty Images, National History Museum and many more. All the images are rights-cleared so that users can easily search and use the images within an academic environment. •Over 2.45 million high resolution images, from 46 of the worlds leading sources worldwide. •All comprehensively categorised according to subjects •Images are all rights-cleared so they can be incorporated in any academic work or within power point presentations. There is an interesting paper published in The Reference Librarian which investigates what American College students spend their time doing when in the library. The findings include: reading print material (18.8%), perusing social media (11.4%), visiting non-educational websites (9.3%), viewing online library materials (5.9%), working collaboratively (5.6%), texting (4.1%), reading news websites (2.6%), watching YouTube videos (2.1%), shopping online (1.1%), and sleeping (0.7%). Since this is an observational study, the authors seem unable to determine whether all (or most) of these activities are related to course assignments. 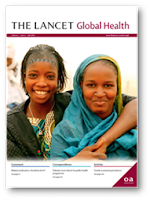 The Lancet Global Health is a new online gold open access journal. The journal will publish high-quality original research, commentary and correspondence with direct relevance to practitioners and communities in low- and middle-income countries. An associated Global Health Blog is available. The blog aims to encourage discussion of a wide range of relevant and practical global health topics. Please be advised of the release of the latest issue of Journal Citation Reports which provides 2012 data and is now available. The Trip Database (www.tripdatabase.com) is a freely available clinical search engine. It is designed to find high-quality research evidence to support clinical practice and/or care. UCL staff and students can now link directly from search results to full-text publications subscribed to by UCL. A new online Web of Science tutorial is available on the library website. The tutorial is freely available and it provides an introduction to literature searching using Web of Science. It can also be viewed on iPads and on Android tablets. Additional tutorials will be available soon. The new Clinical Knowledge Summaries (CKS) service provided by the National Institute for Health and Care Excellence (NICE) is now live. The CKS service will provide regular updates to all topics and up to 10 new primary care topics each year.